As the old adage goes, “If you ain’t cheatin’, you ain’t tryin’.” If that’s the case, Chael Sonnen (pictured) tries an awful lot. On Monday’s episode of “Celebrity Apprentice,” Sonnen’s team was running out of time in completing their task, so “The Bad Guy” took matters into his own hands by grabbing a pair of scissors and cutting the computer cord. Sonnen knew that if there was a “technical error,” the clock would stop, thus allowing his team to finish up their project. Host Arnold Schwarzenegger didn’t quite see things Sonnen’s way. In fact, he flat out called Sonnen a “cheater.” The Terminator wasn’t having it and terminated Sonnen on the spot. That’s the second L Sonnen has taken in the past three days (Yes, I understand the show was filmed a while ago, but it aired for the first time on Monday night). He was submitted by Tito Ortiz Saturday at Bellator 170 in his first fight in over three years. Of course, Celebrity Apprentice wasn’t the first time Sonnen has been busted for cheating. Sonnen kicked off the cheating carousel when he failed a drug test after losing to then-middleweight champion Anderson Silva at UFC 117 when he clocked a testosterone/epitestosterone (T/E) ratio of 16.9:1, more than four times the legal limit permitted by the California State Athletic Commission. The average man has a T/E ratio of 1:1. He was then slated to fight Vitor Belfort at UFC 175 in July 2014, but promptly retired from MMA after his first random drug test showed signs of Anastrozole, Clomiphene and human chorionic gonadotropin. 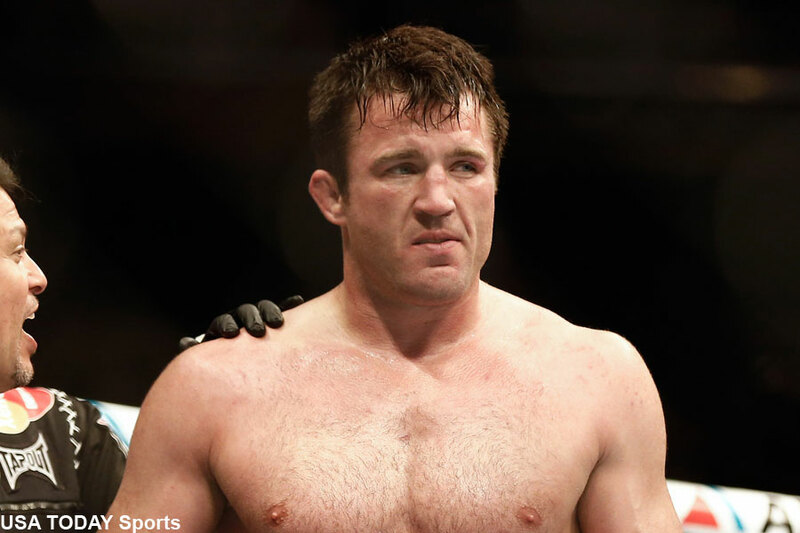 A second random exam revealed Sonnen tested positive for human growth hormone (HGH), recombinant human erythropoietin (EPO) and hCG. Sonnen was then relieved of his broadcasting duties with the UFC and FOX.